Cats are amazing creatures. Intelligent, curious, capable of forming great interspecies bonds with humans. But they come with a full set of claws. I am a fully trained feline veterinarian, a qualified cat behaviourist and a strong active advocate for animal rights. I have been involved with the Animal Welfare Committee for the Canadian Veterinary Medical Association for over seven years. During this time I have worked hard on developing strong position statements against the declawing of the domestic cat. The bottom line is that declawing has the wrong name. We should really be calling them Partial Digital Amputations (PDAs). It is not just the nails that are removed but the bone of the first joint of the fingers/toes. The surgery is in effect an amputation. Multiple amputations that even with adequate pain management can and do result in short and long term pain. And all this pain is avoidable as the surgery is very rarely medically necessary (some medical conditions such as toe tumors) and is preventable with proper training tools and nail trimming. In addition to pain, cats will often undergo behavioural changes when declawed. One of the first questions that we ask when we have a cat who bites in clinic is have they been declawed. If you lose your first line of defence and you’re a scared cat you will use your second line—teeth. Cats hide their pain. So any type of pain is hard to evaluate in cats but especially orthopedic pain. There is a lack of good recent long term studies to measure the long term consequences of asking cats to alter the way they walk. What if you are immunocompromised? The CDA (Center for Disease Control) does not recommend PDAs for cats owned by people with compromised immune systems. Again cat bites pose far more risks. Sometimes PDAs are “justified” by saying that people will give up their cats for euthanasia if we don’t do PDAs. Look at the evidence. Many countries have banned PDAs and there is absolutely no statistical data that this has led to an increase in relinquishment. In animal welfare issues, the question always needs to be asked, “What is the benefit to the animal?” In the case of Partial Digital Amputation (Declaw) there is no benefit to the cat. Every surgery comes with risk factors including but rarely death. How can we as veterinarians justify this operation on our patients especially when viable training tools and methods exist? – Dr. S. Spooner, DVM, M.Sc. 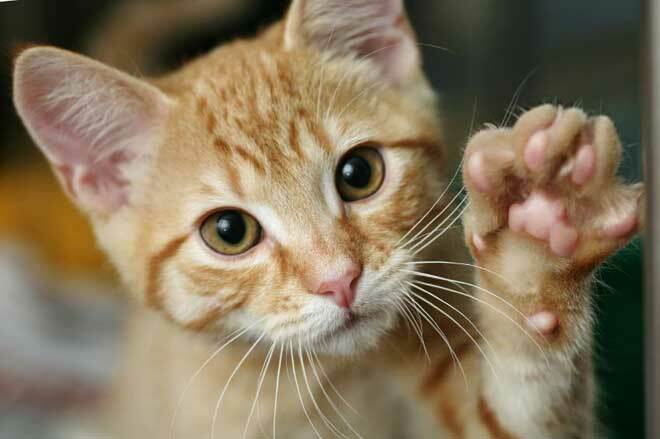 This is the first in a series of posts addressing the issues behind Partial Digital Amputations (Declawing), including how to properly raise your kitten or new cat so that claws are not an issue, and what Dr. Spooner recommends as alternatives to PDAs.